Sammie Anderson called police to help break up an argument between her adult sons. After officers arrived, things escalated to "a nightmare." 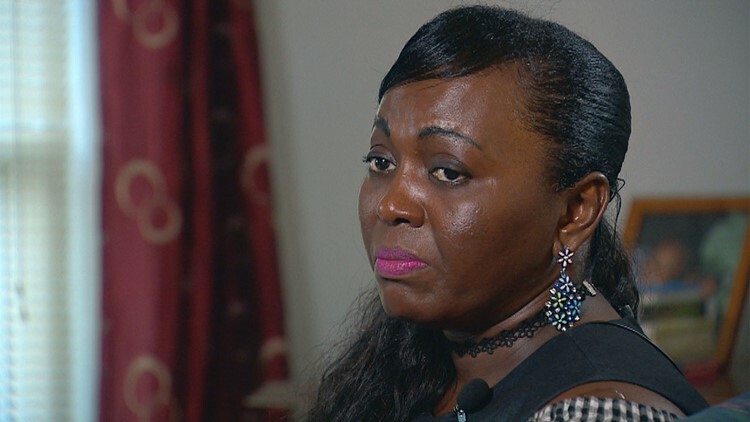 DESOTO, Texas — The DeSoto Police Department is now facing a complaint of police brutality that was filed by a mother who believes she and her family are the victims of excessive force. Two of Sammie Anderson’s adult sons were arguing in her front yard in early August. She said she was worried it might escalate into a physical altercation, so she asked one of their girlfriends to call 911. By the time police arrived, the boys had stopped arguing and were separated. They had calmed down, but within seconds, dashcam video released by DeSoto police shows the situation heated back up. Police immediately drew their tasers, which the Anderson family thought were guns, and ordered everyone to lie face down in the middle of the street. Anderson and her family complied with police to get on the ground, but some of them did roll over and get up. Officers eventually used a taser on one of her sons and arrested two of them. “It was the worst nightmare I could ever imagine,” she said, adding that none of them had ever been in trouble with police before. On Monday DeSoto police released a copy of a 911 call and video from the dashcam of one of the first cruisers to arrive on the scene. The video shows just one angle of the incident, so there's no way to see things the way the officers saw them. Police released a second 911 call on Tuesday. In that recording, the caller breathlessly told a dispatcher one of the sons who was arguing has a weapon – a sledgehammer. “With the information I have and relative to the video you have, our officers acted appropriately to the incident they responded to,” Costa said. Anderson filed a complaint of excessive force and DeSoto’s internal affairs division is investigating. “There’s no way that any laws operate the way these officers operated that night,” she said. Anderson consulted with longtime civil rights activist Rev. Peter Johnson, who's friends with Costa. Johnson said DeSoto needs to take a close look at what happened. “You need to apologize to this lady and her family and reimburse them for all of the dollars you forced them to lose,” he said. Anderson and two of her sons lost their jobs because of days missed while the boys were in jail and for doctor appointments. Anderson said she regrets calling 911.